By Aeria Canada Studio Inc. 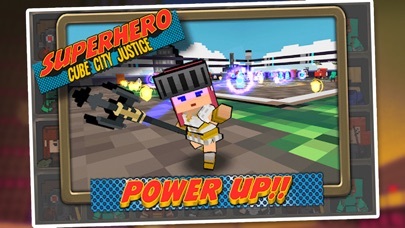 Developer: Aeria Canada Studio Inc.
Superhero: Cube City Justice is ready for action! 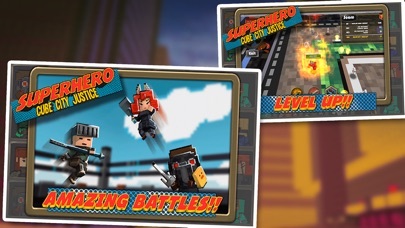 Unlock your favorite hero and grow your power with unique upgrades and skills, then face off in 10 player battles where it's every hero for himself! When eliminated, come back stronger and avenge your defeat as you climb to the top of the scoreboard, proving yourself the strongest, times infinity! 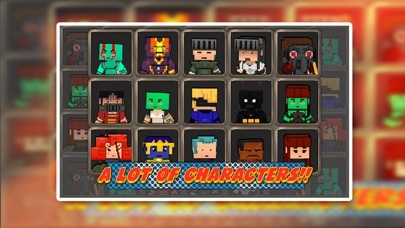 Large cast of heroes and villains with unique powers, skills and upgrades! Refreshing PVP battles between 10 players, where superpowers meet skill! 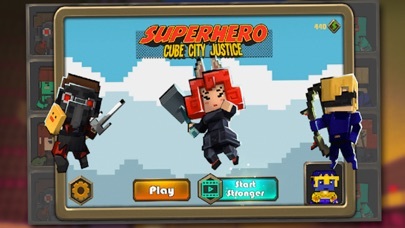 Rent any hero to try their loadout, allowing you to experiment and discover your favorite! 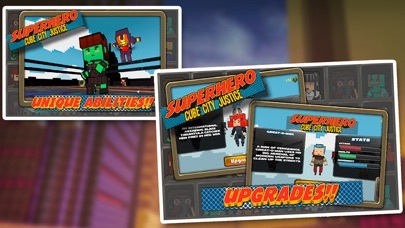 Unlock new heroes by completing special quests and achievements! More by Aeria Canada Studio Inc.